Looking for freelance writing jobs? Continue reading. Looking to guest blog or advertise? Continue reading. Gigs & Freelance: Write about creative ways to make money, either through side hustles or by starting a side business. Writing: Freelance writing tips; ways to make money as a writer. Blogging: Think social media, SEO, blog traffic, WordPress, and general blogging. Perfect for writers and editors working from home. Access over 7,000 writing gigs from many websites and job boards to ensure that you don’t miss the latest opportunity. Most of these are telecommuting gigs, with others providing flexible options. Countless hours were spent putting this together, and I routinely work to improve things around here. It’s a never-ending project just to make things easier for everyone. Why chase flexible jobs when you can let them come to you instead? Did you know? Listiller has become the largest source for remote writing and editing gigs on the web. And that’s a fact. The main benefit here is convenience. We know that you are busy, so why spend hours scouring the internet trying to find remote writing jobs? Here you can view the latest work-from-home gigs from one single, convenient location. Put it this way: You could easily land a lucrative writing gig within the next hour. Click here to view all remote writing jobs and get a general idea. Bonus: You can even save jobs for later if you don’t have the time to apply for a gig right away. Listiller occasionally requests some internal tasks (which you can grab freely from the back-end). A notification bar appears sitewide when new tasks are available. These tasks are very easy and you can claim them on a first come, first served basis. Simply grab them from the “New Post” screen once registered. If you’re not in the habit of checking Listiller for the latest jobs, you may also subscribe to have them delivered to your inbox every 8-12 hours. You’ll receive an email containing many of the latest jobs, each one linking you straight to its original source. Fun fact: Listiller has the largest list of websites that accept guest posts on the web! If you’re serious about blogging and increasing traffic, this ever-growing list is just for you. Here’s a massive list of guest blogging websites where you can submit your articles. Guest blogging is great for: Self-promotion, networking, building your brand, attracting traffic to your own blog, and much more. This list is organized by category, domain authority (DA) and we even link you straight to their submissions page. How cool is that? Sure, you could find a few guest posting websites manually on Google, but who has the time to sort through the search results by specific needs? This list is always being updated. Listiller has hundreds of market listings that pay top dollar for your submissions. 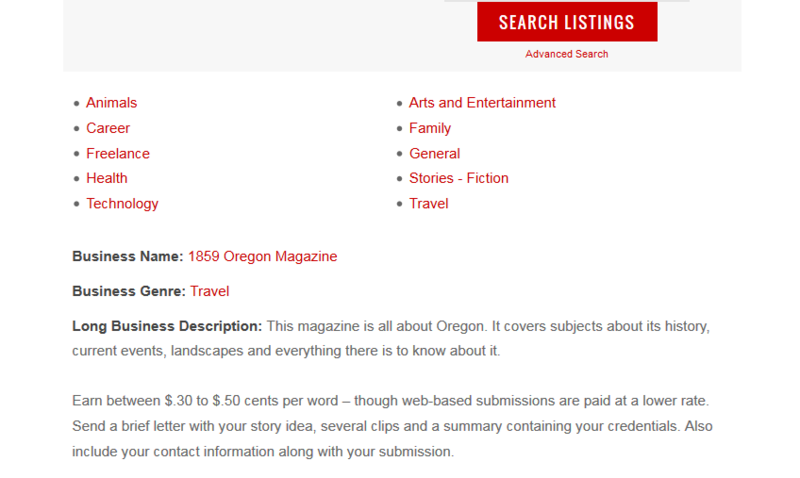 These include article submission websites as well as online magazines. Many of these sources pay well over $500 for a single submission. You are also linked to the submissions guidelines to help get you started right away. These websites pay writers and editors for practically every subject imaginable. Certain members may post previously-published articles, as long as you own the content. Simply syndicate your existing blog post by publishing it on our website and gain higher trust back to yours. If you take the time to leave a thoughtful comment, we feel that you should be rewarded for your time and knowledge. Visit the latest articles and provide your feedback. The “Name” field in your comment is officially dofollow. Note: You MUST use your name in the “Name” field. DO NOT use some keyword. This section is for creative writers who like to have fun with their work. Listiller aggregates writing contests from multiple reputable sources, such as Writer’s Digest and others. Use this section to keep up with the latest contests and never miss a beat. These contests are short, sweet, and often pay a whole lot of money. Don’t be surprised to see a $500 prize merely for writing a 100-word poem, for example. Think about this: You’re a busy blogger, so chances are you only promote your content once or twice and then call it a day. That’s exactly what Listiller would help you with. How it works: Listiller submits your article to several social media services where like-minded bloggers promote your content. One person may share it on Twitter, while the other one shares it on Facebook. Other people would share it on multiple places at once. And the best part? This would happen for up to 3 months *per article* – with each article potentially shared HUNDREDS of times. You can surely do the above on your own, but why not have some extra hands helping you? You also get a beautiful bio under all published articles telling readers more about you. This gives people more chances to connect with you via social media and other sources you own. 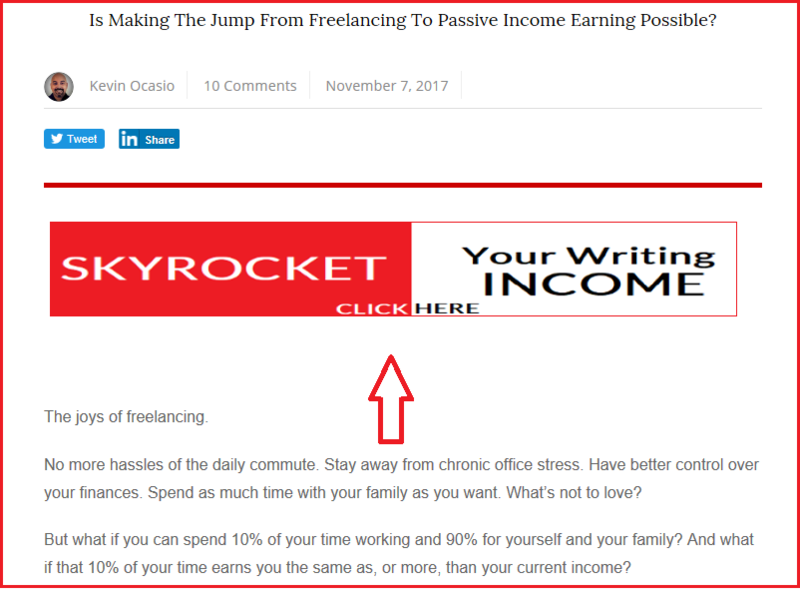 Speaking of effective promotion, your article is syndicated on multiple reputable sources such as Medium.com, LinkedIn’s Pulse, Quora, and more. Other smaller sources are also used to ensure maximum exposure. Once your content is published on Listiller, it will be published on any of the aforementioned places for immense exposure. This helps strengthen your brand, it gets you more recognition, and more traffic in the process. These guides are packed with actionable information – expertly written by / for Listiller. They cover subjects in relation to freelance writing, blogging, freelancing, and online success. Each guide would easily sell for $10 – $30 alone, but you can get them here as part of everything else mentioned on this page. Consider them a very nice bonus. When your article is promoted via social media, it will contain specific #hashtags to ensure it reaches a more targeted audience. This causes social networks to show your content specifically to a more relevant audience. Note: Not all social networks use #hashtags (but thankfully, the most popular ones do). That’s right; now you can promote your property on various key spots throughout Listiller. Use this space to promote your business, website, services, tools, and much more. Published banners can appear within every single article, on all available categories and sidebars. You would also receive a monthly statistics report detailing banner clicks and more. Note: All published banners occupy the same space. In other words, a random banner is shown with each page visit (or with each page refresh). Writer Town really changed my career/life. The writing gigs overview is awesome as it helped me get some amazing clients. This is a great compilation of jobs. In fact, it helped me land a full-time remote position today. I can guarantee I wouldn’t have (known existed) if it wasn’t for the site. Writer Town is the first place I go when it’s time to seek out new freelance writing clients. I save enormous amounts of time this way — it’s helpful to have so many writing gigs all in one place! 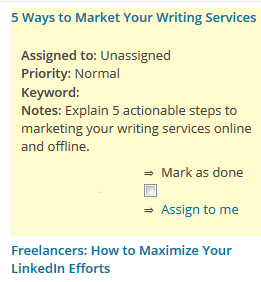 Writer Town provides a great service for freelancers. I’ve gotten various jobs through the site, several of which have turned into long-term, remunerative work. As a former recruiter, I was able to land several resume-writing gigs and continue to find similar work on a regular basis. PLUS: 5,000+ websites that accept guest posts – Network like a pro! PLUS: Receive expert guides about blogging and freelancing throughout the first year! Special: Review Listiller (300+ words) and earn a free Personal account. AllFlexJobs.com: This website is 100% free to access. About banner advertising: This feature alone could easily cost over $50 per month on other websites. With Listiller, you can have this (plus tons of other benefits) at a much lower price. Click here for more banner details. About article sharing / promotion: Your articles are shared on places like Twitter, Facebook, Linkedin, and more. Other bloggers will also share said content on your behalf. Listiller prioritizes your articles for the first 1-3 months (depending on your chosen package). After that, your articles may still be shared intermittently for life. About syndication: Either a summary or the full content is posted on other communities for greater exposure. This may include Quora, Medium, Pulse, and/or others. About internal tasks/assignments: You can grab these for free simply after registering a free account. However, premium members earn more per task. Click here to create a free account (in this case, do not select any of the available Packages / Tiers). Note: Free accounts DO NOT enjoy any of the great benefits listed on this page. Nope, Listiller isn’t some sort of scam trying to get you. It’s simply a site run by a former Demand Studios contributor and work-from-home maniac. Listiller is mant to be highly affordable. These prices help pay for web hosting and keep all these features running smoothly. Please consider subscribing if you like what you see. For example, the yearly payment plans are the best option and may give you peace of mind (pay once, and forget about it for an entire year).